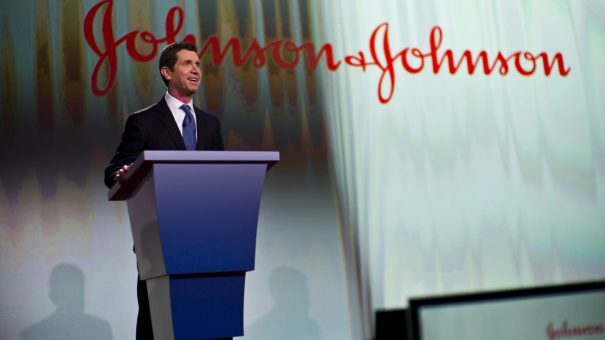 Johnson & Johnson has won US approval for its new psoriasis drug, taking on the likes of Novartis, Eli Lilly and Valeant in an increasingly crowded market. The FDA has backed guselkumab, which will be branded as Tremfya, for adults with moderate to severe plaque psoriasis. Tremfya has a slightly different mechanism of action to rivals from Novartis (Cosentyx), Eli Lilly (Taltz) and Valeant (Siliq). Those drugs block interleukin-17, while Tremfya, from J&J’s pharma unit Janssen, blocks IL-23, and the company hopes to show in a later head-to-head trial that this confers superiority over Cosentyx. Tremfya has already shown superior results to AbbVie’s older Humira in a head-to-head analysis. Valeant bought Siliq from AstraZeneca, which was keen to offload the drug after a risk suicidal ideation emerged in trials – something that will likely affect the drug’s marketability as the FDA insisted it carried a warning on its box. 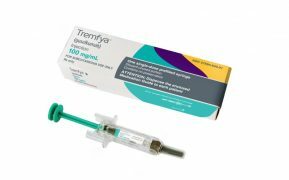 According to reports, Tremfya will cost around $58,000 per year, comparable to other drugs on the market, although J&J offers a co-payment card to patients to reduce the cost to around $5 per dose. Despite the competition, Evaluate Pharma predicts the drug could achieve sales of $1.56 billion by 2022, winning back some sales lost after the newer drugs took market share from J&J’s older Stelara, which the newer drugs eclipsed in clinical trials. J&J also managed to get the FDA to review the drug in a faster six-month time frame after cashing in a Priority Review voucher. In most cases, the regulator reserves Priority Reviews for drugs that represent a significant improvement on standard of care, or for diseases where there are no or very limited treatment options. Approval was based on results from a clinical development program that included more than 2,000 patients in the phase 3 VOYAGE 1, VOYAGE 2 and NAVIGATE studies.